Sometimes there's nothing better than a juicy, melty, big burger for dinner (or lunch). You know the ones - messy to eat, dripping everywhere and a struggle to fit in your mouth?! I've tried a lot of spots in London to find the ultimate burger but I really think you can't beat making your own at home. With the right bun, top quality mince meat and a killer burger sauce made with a couple of secret ingredients, you can't go wrong. 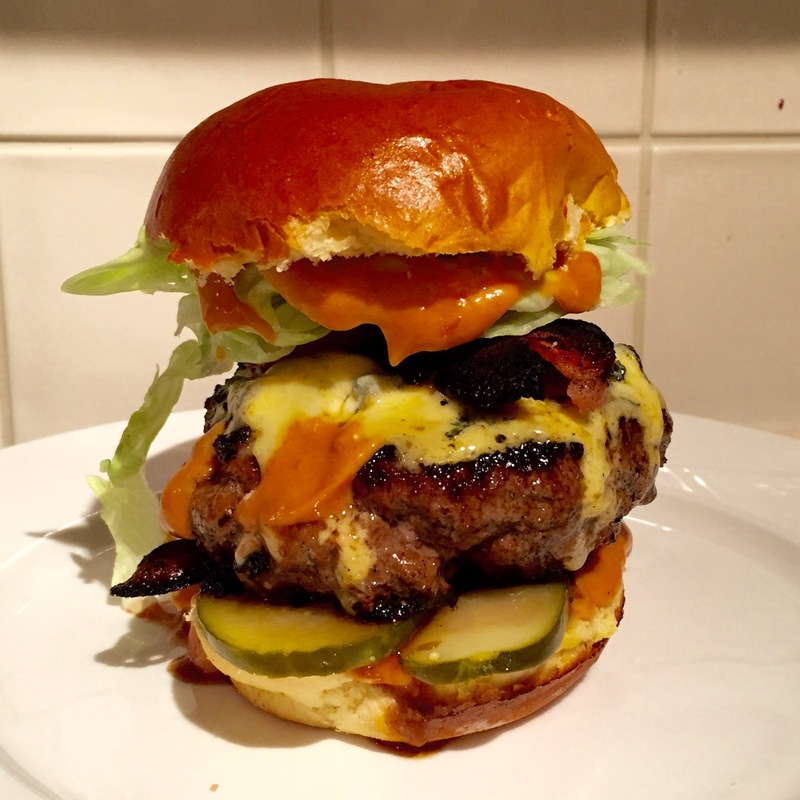 Here's my favourite burger recipe, though of course you can change the type of cheese or bun you want to use, and the salad and sauces but try this one first and let me know what you think. Split the mince into two, season with plenty of salt and pepper and roll each half into a ball. Press down to make a patty that's about 3cm high. Leave to one side while you prepare the rest of the ingredients. Heat a non-stick frying pan on a medium-high heat. When hot add the bacon rashers (you don't need oil as the fat will release from the bacon while it's cooking). Cook til the bacon is crispy. Remove and leave to one side. Brush or wipe oil over the burgers and put the burgers in the hot pan. Lightly press down with a spatula then leave to cook for 3 minutes. While the burgers are cooking make your burger sauce using all of the ketchup, chipotle and bourbon tabasco, mustard, mayonnaise and Worcestershire sauce. Mix all of the sauces together. Flip the burgers over, lightly press down again, brush the tops of the burgers with some of the burger sauce, and cook for 2 minutes. Put the cheese on top of the burgers, then place a heatproof bowl over the burgers and cook for 1 more minute. The cheese should just be starting to melt. Turn the heat off and leave the burgers as they are while you assemble the buns. Split the brioche burger buns, and add a dollop of burger sauce to the base bun half. Top with sliced gherkins and tomatoes. Add a burger to each base bun, top with bacon, lettuce, avocado, more burger sauce then finish with the top half of the bun. 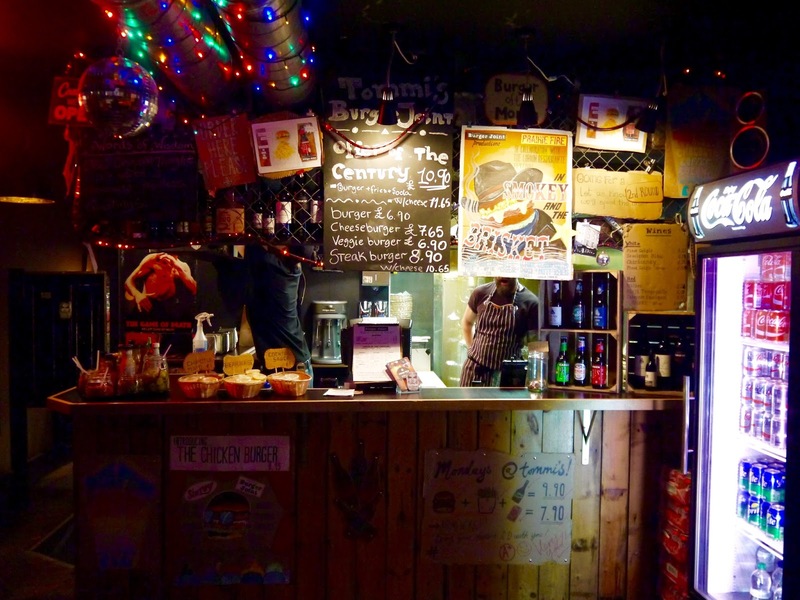 If you don't want to or can't make your own burgers, then check out Tommi's Burger Joint who've got two branches in London - one on the King's Road and one in Marylebone. With a straightforward menu the focus here really is on burgers. 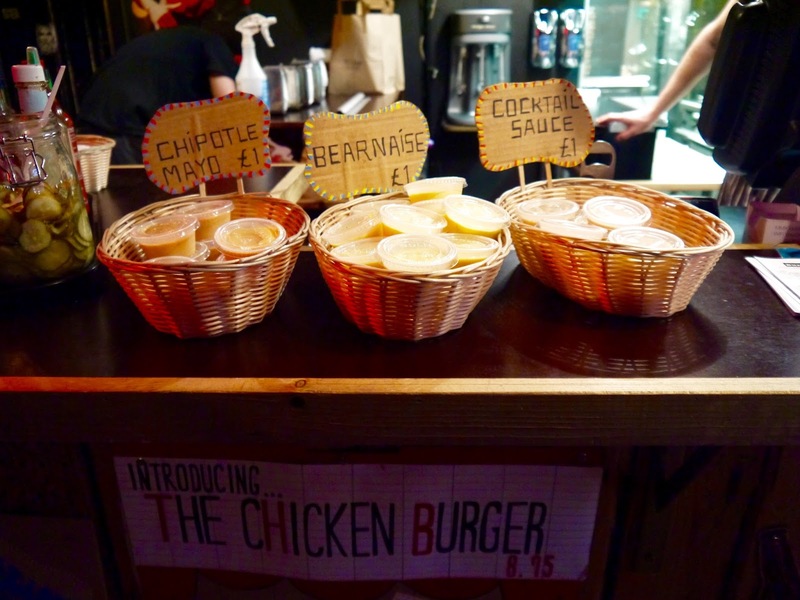 You can choose from a beef burger, veggie burger, steak burger or chicken burger. We tried all apart from the steak burger and thought they were great, especially with the sweet potato fries and chipotle mayo. Tommi's also do a monthly special - last month it was Smokey and the Brisket - 16 smoked brisket, beef patty, beer cheese and prairie fire sauce - it sounds incredible and I'm sad we didn't try that one too. It's now been replaced with the Sloppy Tommi's monthly special - a patty with sloppy joe meat, onions two ways and a secret sauce. The artwork for the monthly specials is done by the very talented artist Stedhead. What I loved about Tommi's is their use of free range, top quality meats in all their burgers, which is essential for a good burger. Check out Tommi's website for more info. The burger you made looks amazing! Definitely drool-worthy! Thanks lovely, it was pretty delicious!